The recipients of The Junior League of Birmingham Scholarship have been selected and named. Theses female recipients will receive a one-year scholarship at a minimum of $1,000.00 for the 2019-2020 academic year. All recipients reside in Birmingham city, Jefferson or Shelby counties (while not living on campus). They are enrolled as a full or part-time student in any private or public accredited two- or four-year school for the 2019-2020 school year, and may be a graduate student. Congratulations to the 2019 Junior League of Birmingham Scholarship Recipients listed below! 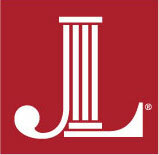 For more information on the The Junior League of Birmingham Scholarship, visit https://www.jlbonline.com/jlb-scholarship/.